Wishbone Day: It's a date! It's about that time of year when organisations, government agencies, schools and local charities, etc start planning their next years events. 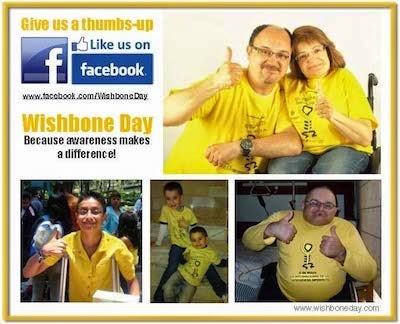 We want to be sure that all people, everywhere know about Wishbone Day 2011. So .... we need your help. Start sending emails, filling in online event requests or contacting your local government organisations and tell them to put Wishbone Day 2011 on their event calendars. When you're ready you can start giving us updates on your progress so we can share with others via the http://www.wishboneday.com/ website.